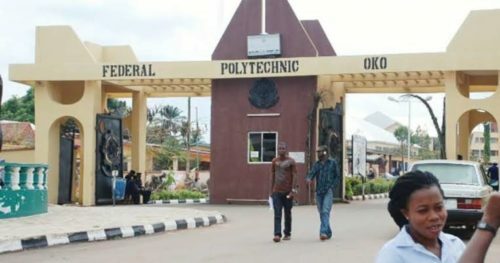 Federal Polytechnic Oko (OkoPoly) admission list for ND regular I and II has been uploaded online. Check Federal Polytechnic Oko ND Admission List. 1. Go to Oko Poly admission status checking portal @ http://portal.federalpolyoko.edu.ng/modules/admissions/checkadmissionstatus.aspx. 2. Select ‘Student Type’ from the drop down i.e. National Diploma. 3. Select your session from the drop down i.e. 2018-2019. 4. Enter your Application Number in the appropriate column. 5. Finally, click on ‘Submit’ to access your admission status. Congratulations to all the candidates that made it to Oko Poly ND Full Time admission list for the 2018/2019 academic session.